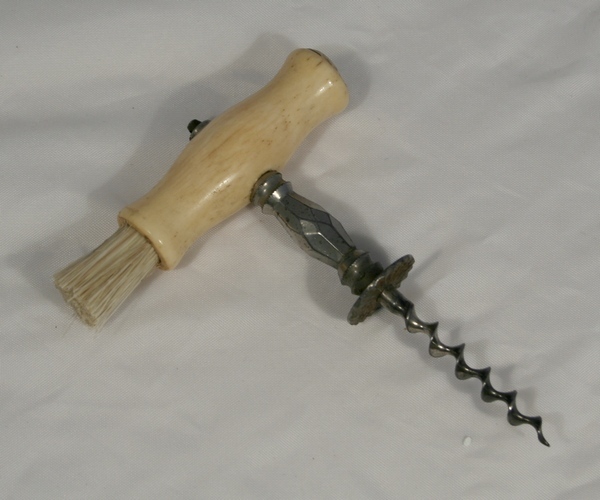 An unusual example with faceted nickel shaft. In very good condition with chip to end of handle. Shipping Cost: £2 for UK, £3 for Europe & £5 for Rest of World (ROW) - discounts for multiple purchases. I recommend that you choose a signed-for service which is £1 extra for UK and £3.50 extra for Europe & ROW, otherwise I cannot be responsible for any package that goes missing.